When a marriage falls apart, it is always a great stress for both parties, even when they are both 100 percent positive that splitting and living separate lives is exactly what they want. Divorcing spouses are naturally overwhelmed with emotions they may not know how to handle, but these feelings often pass with time — unless, of course, they have common children. In such a case, parents become co-parents, entering into an involuntary partnership with their former spouse. Divorce is tricky enough without having to make co-parenting decisions — such as how to put a child through college — which can give rise to new points of dispute. And in these disputes, a parent’s mind may become clouded with the desire to regain control, and they might unwittingly use their children as pawns. While the law regulates such situations, an increasing number of divorced couples want to avoid the stress of going to court — an environment which may increase the pressure they’re already experiencing. Steve Erickson, the founder of Erickson Mediation Institute, points out that this is not the only reason for the avoidance. He claims the modern-day adversarial system is “the undertow that drags people into conflict,” allowing the court to invade the already-troubled lives of co-parents and their children on so many levels and occasions that it does more harm than good. It pushes the co-parents — who are supposed to be partners — into seeing each other as rivals in an ongoing battle, a battle that often ends without winners. Each of the co-parents’ incomes. 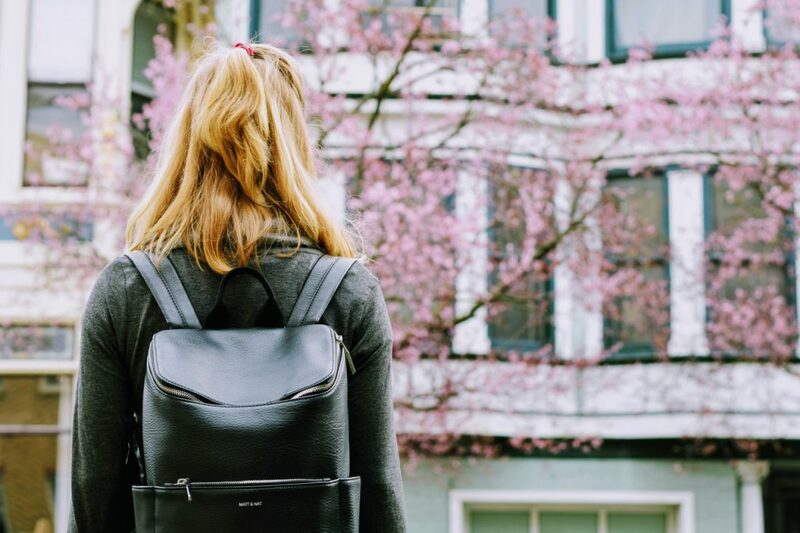 The cost of the child staying in college. Students spend several years in college, which is a significant amount of time. During this time, both the cost of living in a particular college town and each co-parent’s income may change. So, every time a co-parent suspects the circumstances have changed, they need to go back to court to revise a previous decision. In this case, the court will request access to the information mentioned above to pass a new decision. The process is extremely stressful and both time- and effort-consuming, to say nothing of the financial implications. Erickson believes the root cause of the problem with the present adversary system is that it is largely outdated. For instance, the current system sees one of the co-parents as “absent” or, in other words, a noncustodial visitor. 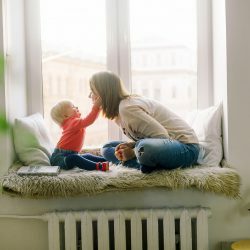 This often means the other parent spends significantly more time with the child and is the primary caretaker, with the main job of caring for the child — but not necessarily the financial obligations of doing so. Determining an “absent parent” and a primary caretaker may have been appropriate when the system was first established, but this has not been the case in most families for quite a while now. The problematic nature of this assumption is illustrated by the statistics: the amount of unpaid child support in the USA has reached $112 billion. On the other hand, most co-parents today prefer to work full-time, sharing their time with the child pretty much equally. Just as importantly, they want to be able to agree upon such decisions without involving the court. But what about when it comes to arranging for a child’s entry into college? When the time comes, a student may be overwhelmed by such challenges as writing a cover letter for a college application, but these are often the least of a parent’s concerns. Finance-related matters often take precedence, especially when it comes to how to afford college-related expenses. Erickson’s experience as a mediator has shown that co-parents are just as capable of agreeing upon these matters regarding their children. He came up with a comprehensive solution to help with such financial decisions back in 1983 (which asserts that the current adversary system was already outdated back then). Basically, what is required of co-parents is to discuss which expenses they pay separately and which they share. For example, they can decide to pay expenses related to one parent’s time with the child separately — such as eating out or going on a vacation. The education-related expenses, on the other hand, are usually shared. So, the co-parents created a joint bank account into which they each deposit money for shared expenses. The amounts of the co-parents’ respective deposits are to be determined by their incomes. However, since both co-parents’ incomes and the child’s needs will change over time, the agreement should also remain flexible — as opposed to the official adversary system that sets all these proportions in stone and makes them hard to revise when the circumstances demand it. Running such an account is not unlike running a business. The partners (in this case, co-parents) are required to plan their child’s expenses for a fixed term — say, a year. Then they agree upon how much they can donate to the joint account to cover these planned expenses and what they do in case they overspend or the joint account money runs out. As we have mentioned, Erickson came up with this solution back in the early 1980s. He spent the next few decades traveling to advertise and advocate for this system, and he claims he hasn’t heard a single case of co-parents dropping the children’s joint account in favor of going back to court. The trouble is that the conventional adversarial system sees a co-parenting situation as one that needs to be regulated by the law, which often renders both parents incompetent and incapable of settling such matters on their own. This invasion adds to the stress they may already be experiencing and, as a consequence may antagonize co-parents. Erickson’s system, on the other hand, conveys the message that co-parents are mature and capable enough to handle crucial matters — even financial matters — themselves. About the Author: Kevin Nelson is a professional educator and a private tutor with over eight years of experience. He is also a content writer for various blogs about higher education, entertainment, social media, and blogging. During his off time, Kevin enjoys traveling and cooking. Feel free to connect with him on Twitter, Linkedin & Google+.